Camilla Trab Damsgaard, Associate Professor in child nutrition at the University of Copenhagen’s Department of Nutrition, Exercise and Sports will receive the SCIENCE Dissemination Award 2017 for being the initiator and research leader of the FiSK project - a collaborative project between the University of Copenhagen and four Danish aquariums. Camilla Trab Damsgaard winner of the SCIENCE Dissemination Award 2017. The award comes with a purse of DKK 25,000 and the Golden Megaphone trophy. Danes do not eat enough fish. While the Danish Veterinary and Food Administration recommends that people eat 350 grams of fish per week, the average Dane only consumes about half of this amount. In particular, children don’t get enough fish. This is at a time when the health benefits of fish are almost universally known. 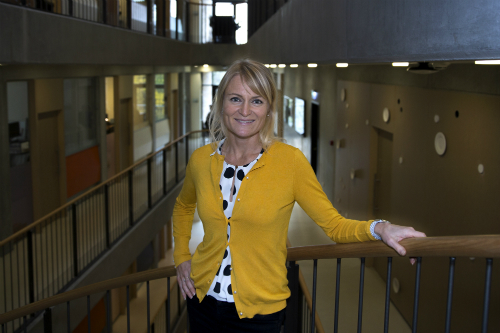 This contradiction, and unused potential, fascinated associate professor of paediatric nutrition Camilla Trab Damsgaard so much so, that she began collaborating with four Danish aquariums and the Nordea-fonden to establish the FiSK project. The project is designed to provide children and their parents with fun, new experiences with fish and health, while investigating whether children are healthier, more attentive and concentrated as a result of eating fatty fish like salmon and mackerel. The four Danish aquariums involved in the project are the Blue Planet in Copenhagen, Kattegat Center in Grenaa, the North Sea Oceanarium in Hirtshals and the Fisheries and Maritime Museum in Esbjerg. John Renner Hansen, Dean of The Faculty of Science (SCIENCE), says of this year's award recipient: "Camilla Trab Damsgaard has, together with her team and the four Danish aquariums, managed to reach out to a cross-section of society, and in doing so, contributed to opening the University to society in the very best of ways. Not least, in a digital age so that children and adults receive serious knowledge about fish, the preparation of seafood and the health benefits of fish in an exciting and different way." Project Fish is a nontraditional nationwide research and dissemination project supported by DKK 18 million from the Nordea-fonden. Besides experiencing marine life up close in the four aquariums, youth and adult visitors can also cook up delicious seafood dishes using a touchscreen-based stove in an interactive, electronic kitchen. 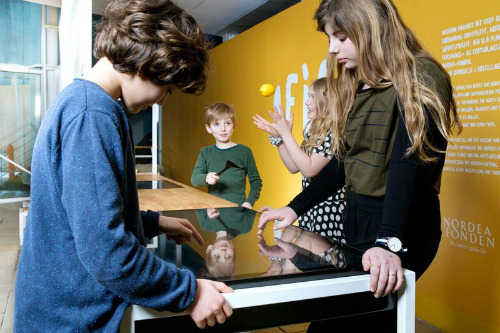 At the same time, children and parents can play and 'game' their way to knowledge about how healthy omega-3 fatty acids from fish affect our bodies and brains, as well as how to sustainably harvest seafood. In the research portion of the project that Camilla heads, 200 children eat 300 grams of either oily fish or chicken every week for three months. The aim is to investigate the effects of oily fish on children's health, including cognitive functions, such as concentration and memory, and their robustness when confronted with stress. A so-called citizen science module has also been incorporated into the project, where visitors at the four aquariums can contribute to research by entering their fish eating habits, and why they love or hate fish. This might, for example, lead us to insight about whether people from North Jutland eat herring whereas those from Copenhagen tend more towards sushi. The award will be presented at a reception on Monday, December 11th, from 14.00 – 16.00, at the Department of Nutrition, Exercise and Sports located at Rolighedsvej 26 in Frederiksberg.